Holi, the spring festival, is here and it’s time for all to glorify it with colours! On March 21, Google celebrates the festival of Holi with an animated doodle. The colourful and vibrant animation portrays the festival of colours. 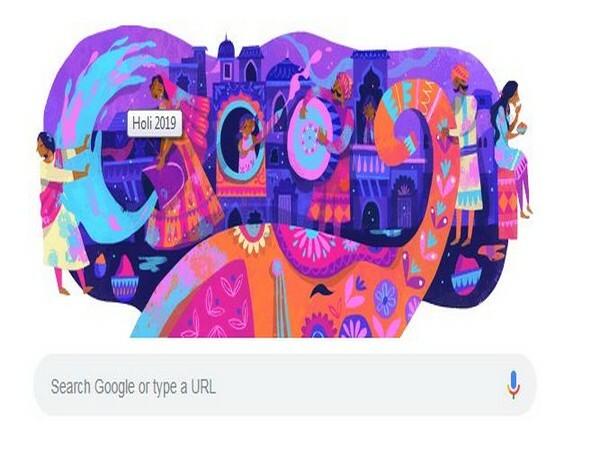 In the doodle, while on one hand people are seen throwing colours and smiling as they play Holi, on the other hand, a man is seen playing the drums and a kid from the window is throwing the colour through a pichkari. On one side, Google has also shown people indulging into some festival delicacies. An ancient Hindu festival, mentions of Holi have been found by archeologists that date back to 300 B.C.. Where originally it was celebrated across the Indian subcontinent, it’s now also celebrated in parts of Europe and North America. In India, Lathmar Holi takes place in the days prior to the event, where the women of Barsana beat the men of Nandgaon with sticks. The festival itself starts with a Holika bonfire with singing and dancing — Holika being the name of the demoness who was conquered by devotion to Lord Vishnu — before color explodes out onto the streets.